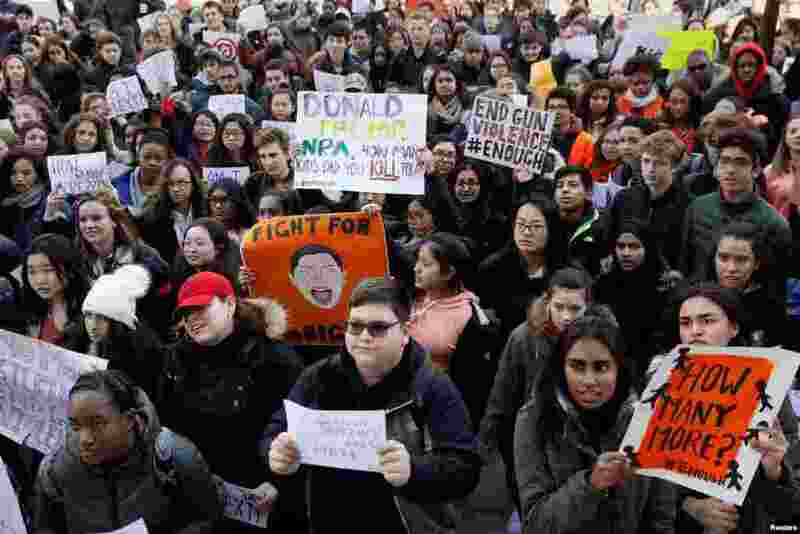 2 Students march in support of the National School Walkout in the Queens borough of New York City, New York, March 14, 2018. 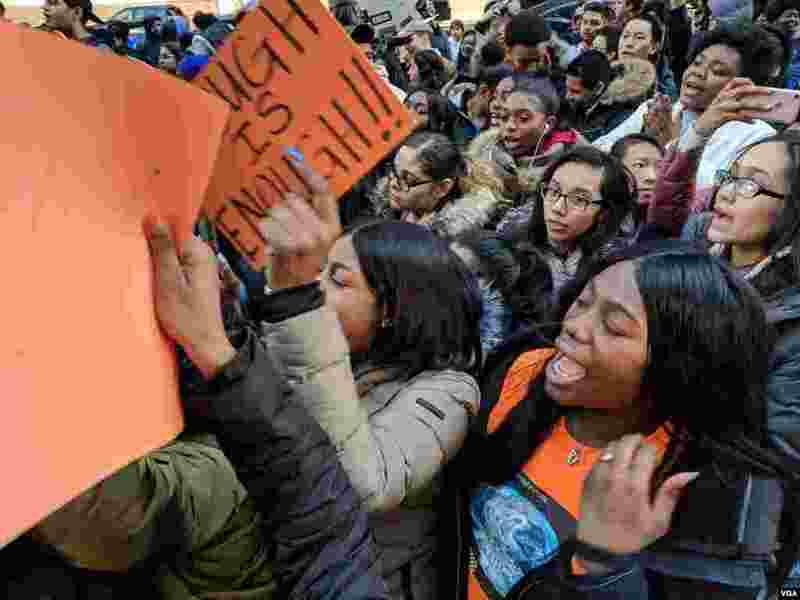 3 Students participate in a march in support of the National School Walkout in the Queens borough of New York City, New York, March 14, 2018. 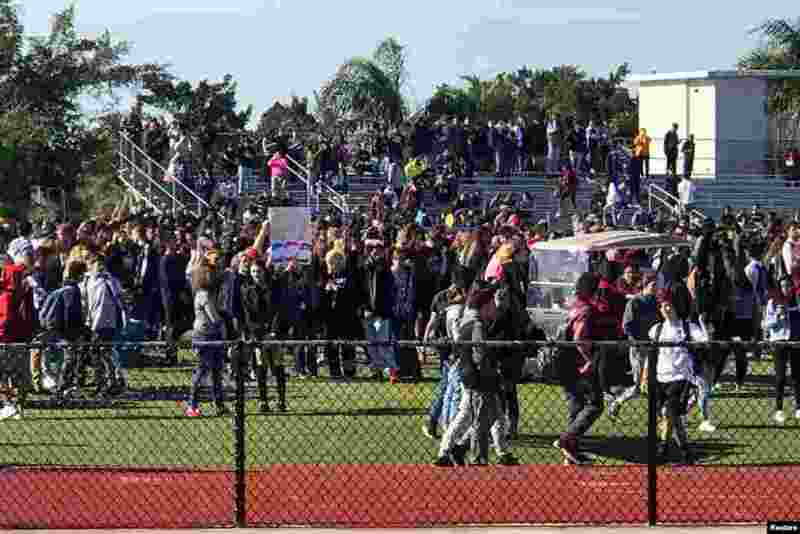 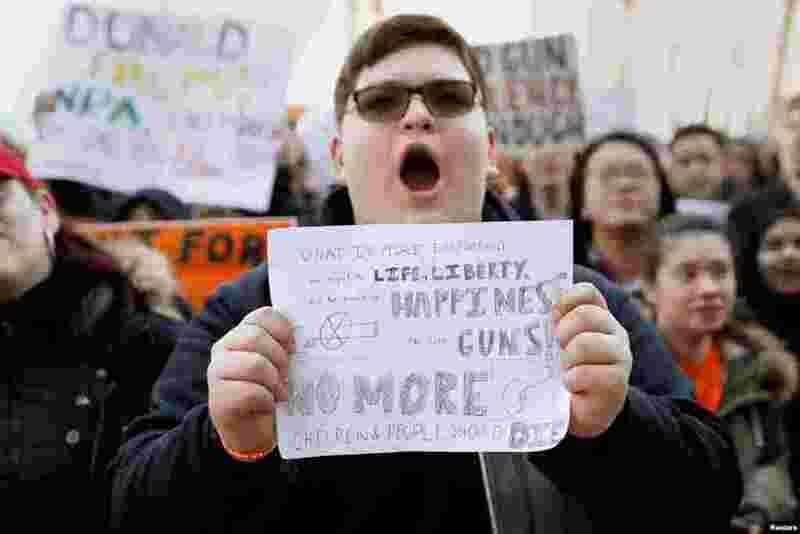 4 Students walkout at Marjory Stoneman Douglas High School during National School Walkout to protest gun violence in Parkland, Florida, March 14, 2018.